The Guardian U.S. goes behind the scenes at Barilla’s Parma, Italy-based Pedrignano facility—the largest pasta factory in the world. Have you ever wondered, how is pasta made? You’re not alone! Pasta is a classic favorite, and the people who make the pasta enjoy it just as much as the people who eat it. Just ask the workers at Barilla’s Pedrignano facility, the largest pasta factory in the world. It’s not surprising people enjoy working at a place that always smells like pasta! At Pedrignano, durum wheat is made into the pasta you’ve always enjoyed before it’s dried and boxed. The process mimics the way pasta has always been made, with the factory working like a large home kitchen. 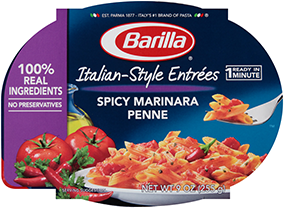 The process is both fun and environmentally friendly, with Barilla lowering their carbon emissions and water consumption significantly over the past six years. Read the article for more information about pasta making and the amazing people who make it happen!